Select which type of member you wish to become. WinkBall is a global network of local reporters. WinkBall reporters specialise in interviews. They create professional video reports covering events and feature stories from a cultural perspective. 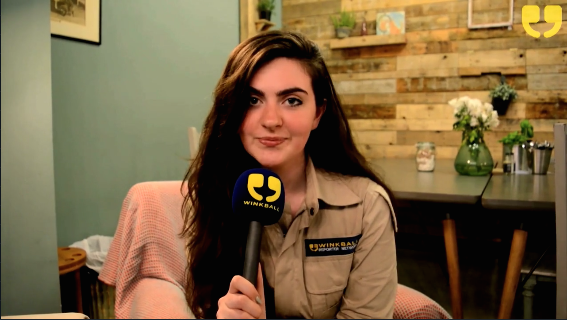 WinkBall offers membership for those who wish to further their skills and gain practical experience as an independent reporter, film-maker, editor or presenter. If you already have a relevant background in media, then you may simply wish to polish your skills, have fun or report on your favorite subjects. WinkBall’s membership programme is designed to train, facilitate and coordinate the production of exciting and relevant video content, with the reporter as the star performer. A spirit of entrepreneurship and excellence is at the heart of our membership scheme. WinkBall offers members the benefit of years of experience producing digital video, a widely-recognized brand of street reporting and investment in our proprietary video platform. "WinkBall reporters are the new storytellers for local businesses and events." WinkBall provides members with supporting promotional documents, continually updated training and feedback from our network via a 'Members Only' channel. We enable you to build a client base for sponsoring your reporting, and our platform lets you connect with other members to share and find opportunities to collaborate on projects. Most of all, WinkBall’s aim is to unleash the vast creative potential of our network and to provide the best possible support to nurture and promote the talents of our members in the field of video reporting.